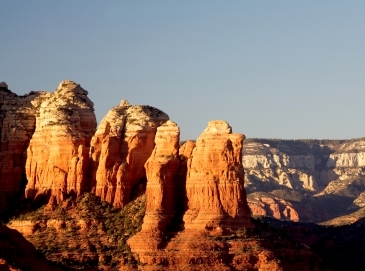 The city of Phoenix, Arizona has leaped beyond its borders to become the 5th largest city in the U.S. Although it is not primarily a college town, there are many colleges both in the town and in neighboring suburbs. 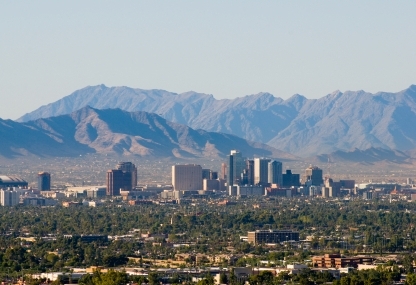 Tempe, home of Arizona State University, lies at the southern edge of the city. Thunderbird School of International Management is in Glendale. Phoenix, a metroplex of over 1.5 million people, has engulfed communities like rural Glendale, as well as more posh communities like Paradise Valley, Carefree, Mesa, Peoria, Surprise, and Scottsdale. Phoenix is in Maricopa County.